Get 'Engaged' With FlowForma This Valentine's Day! Happy Valentine's Day everyone, I hope you all found your perfect match this year! As we continue to engage in meaningful conversations with prospects and customers on a daily basis, we know that finding the right process automation tool that ticks all the boxes is difficult - just like finding the right partner in life. 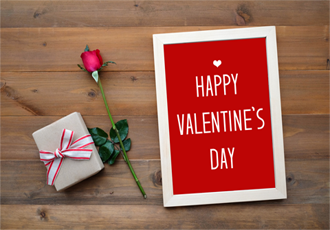 For those of you who are on the hunt for the perfect process automation solution this Valentine's, there's still hope! Similar to people, process automation tools have traits. Some tools contain coding, others limit you to the number of documents you can create and some require additional costs during the implementation stage. But what if you could find the one with that something different? That special something that makes it stand out from the rest? Step forward the FlowForma® Process Automation tool! The FlowFoma Process Automation tool requires no coding, using only simple business logic to create your forms and workflows by those who best understand the business needs. Standing out from any crowd can be difficult. Despite this, over the years we have noticed that our customers secretly admire a product feature that makes us do just that! Marrying your business processes and your customers, FlowForma® Engage empowers you to engage external users such as customers, suppliers etc. to input into your internal business processes. Sitting on Azure and linking through to your own FlowForma environment where necessary, the FlowForma Engage environment is provided and managed by us, so you won’t have to worry about configuring and maintaining it! 2) Secure Access – this is more suitable when you have ongoing processes back and forth with existing customers, partners or vendors such as artwork management. A secure login is required in order to access. FlowForma Process Automation isn't just a honeymoon period, but a long term companion as it has become a mainstay in the hearts of our customers. Download our latest e-book which features 6 inspiring ways to automate processes and accelerate digital transformation as told by our customers - the ultimate process lovers, with practical examples of how they cured long-standing pain points and now innovate with cross-functional processes. Looking to find out more about how you too can benefit from process automation and enabling external users to input into your processes? Reach out to our product experts via the comments below or arrange a demo of our product to learn more! Alternatively, why not take a free 30 day trial today, no credit - card no commitment!